The Filipino American Society of Architects and Engineers is a professional organization of individuals of Filipino descent who have been educated and trained as Architects and Engineers, or in any related fields of academic study. Membership in the organization is open to all other individuals who are not of Filipino ethnicity. ​FASAE SoCal was established in late 1994 by 21 founding members as a non-profit, non-partisan, non-sectarian organization. The collective efforts of the founding members enabled the FASAE SoCal Chapter to become the third chapter, after the Guam and Sacramento/Reno chapters, to receive accreditation from FASAE, the national organization. ​FASAE SoCal is also registered as 501(c)(6) corporation with the IRS. FASAE SoCal Education Foundation is the official scholarship foundation for FASAE SoCal and is registered as 501(c)(3) with the IRS. ​Today, the FASAE SoCal chapter continues to grow and serve its members, with thanks to the many dedicated individuals who have worked hard and sacrificially to promote the goals and mission statement of the Chapter. 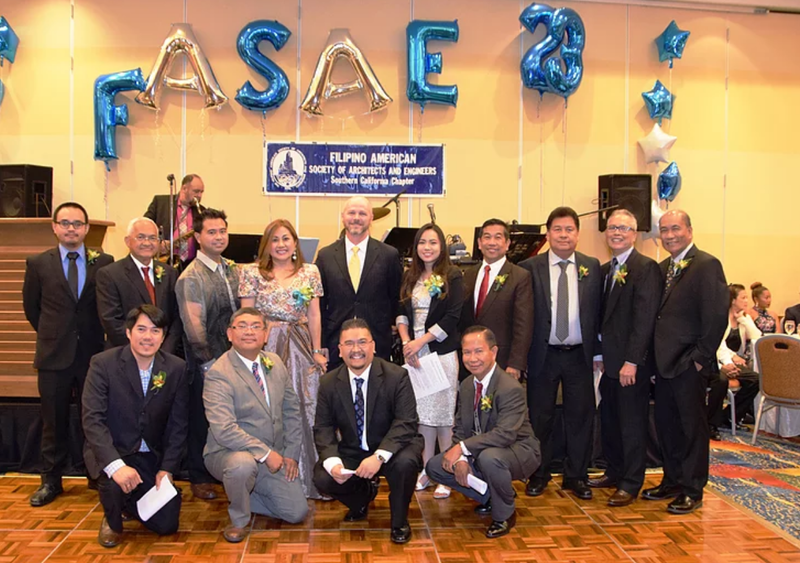 ​FASAE SoCal's Mission Statement is "To advocate and promote the advancement and professional growth of the Filipino American Architects and Engineers for the public good."